The Menorca offers the perfect vacation getaway. The Menorca unit located at 378 Canal rd maintains that great 'Old Florida' flair with all of the modern day amenities our guests expect. Once you arrive, simply park the car and let the good life begin... Walk one block to Siesta Key Village for a fresh tropical drink at the Daiquiri Deck, or have some oysters at the Siesta Key Oyster Bar. Ready for the beach? 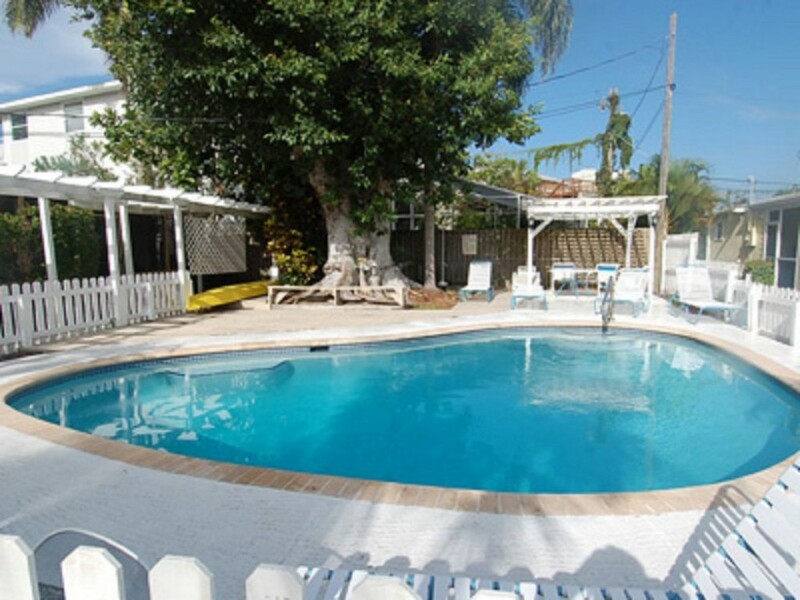 The Siesta key beach front meets the Gulf of Mexico and is only steps away! Need some groceries or some new flip flops? You guessed it... nearby in Siesta Key Village! Don't feel like going anywhere? How about a dip in your own heated pool? Guests at The Menorca have it all! Cherished Siesta Key beach memories have been made at The Menorca for over twenty fiveyears. We hope you'll join us to create your own! WALKING DISTANCE TO BEACH, SHOPS, RESTURANTS, GIFT STORES, GROCERY STORE, BANKS, BARS, DRUG STORE AND SHORT WALK TO THE FAMOUS VOTED #1 BEACH IN AMERICA "SIESTA KEY BEACH". Siesta Key has a multitude of free ride services on the key. Just remember to tip your driver. There are fishing and sports shops such as CB's, Siesta Key Marinas on south end of Siesta key. Bike shops, rentals for all sorts of beach activities such as beach wagons, windsurfing boards, etc. Ice cream store, grocery stores, drug store, post office, doctors walk in, restaurants and bars to relax and enjoy. NO PETS, NO SMOKING, MAXIMUM GUESTS 2. Check in 4 pm Check out 9:30am. PLEASE put all dirty laundry in basket provided, take out your trash and do your dishes before departing. SHORT WALK TO BEACH, VILLAGE, GROCERY STORE, RESTURANT'S, BARS, GIFT SHOPS, ICE CREAM STORE, DRUG STORE, POST OFFICE, MUCH MORE. WHEN BOOKING THERE IS A 30% DEPOSIT REQUIRED. BALANCE IS DUE 30 DAYS PRIOR TO ARIVAL. Owner's cancellation policy:60 DAYS PRIOR TO ARRIVAL FULL REFUND MINUS $100.00 CANCELLATION FEE. LESS 60 DAYS- NO REFUND.